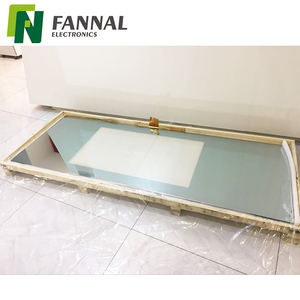 There are 5 types of touch screen: Infared touch screen ;Capacitive touch panel ;Resistive touch screen; Open frame touch monitor; Touch foil. We are pay more attention to the beginning till the very end of the production. 5.Q: Could you offer the OEM service9 A: Yes, we can provide the OEM service if our customer requested. 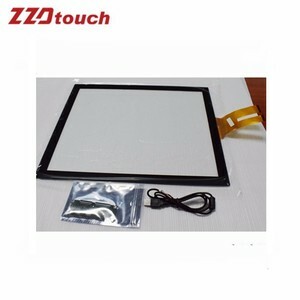 Capacitive touch screen is very different with traditional resistive touch screen. So the resistive touch screen applies only to judge a few simple actions such as click, drag and drop. Customize the entire touch solution with the pattern etched according to different touch IC specifications. Beijing Hushida Technology Co., Ltd.
For a better maintenance, be sure that the players are using under normal circumstances . 2) For bulk order: 30%deposit T/T in advance, balance clear before pick up or shipment. " Good Service "Fast Smooth Communication before and after the sale,24 hour online service. Packaging & Shipping We provide technology to help buyer to install the machine, with free maintenance for one year. We will provide free repair for quality problems which was caused by non-artificial factors within a year. If machine damaged while shipping, we will delivery one new machine for replacement, buyer should take photos and keep it to claim for indemnity with forwarder. Shanghai KX-Touch Electronics Tech Co., Ltd.
5. Quality control department for testing new products and every lights before sending out. Q:2.Can I have a sample order9 A:Yes,we welcome sample order to test and check quality. As a supplier, we have no right to request the order must be more than any quantity. 2. Payment terms:T/T,PayPal,Western Union,L/C. 3. Lead time: about 3 or 5 working days after payment. 4.Delivery :DHL ,UPS door to door service , by sea,by air , etc. 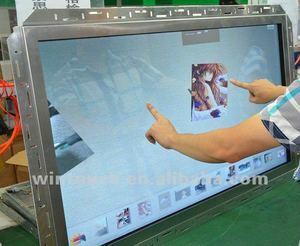 Shenzhen Unique Display Technology Co., Ltd.
Guangzhou Yama Electronic Technology Co., Ltd.
2. 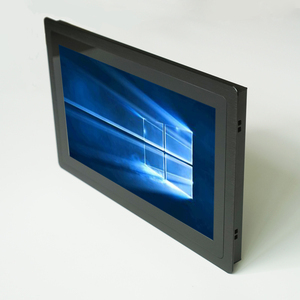 Outer shell is made of extra good quality metal material and tempered glass. Outer shell is made of extra good quality metal material, which is painted by powder-spray craft work. We have founded firm relationships with our material suppliers and even invested in some supply companies to control quality directly. Shenzhen Pitech Photoelectric Technology Co., Ltd.
Shenzhen Dauking Technology Co., Ltd.
3. Q: Can I get a sample9 A: Yes, but you may have to pay it, which depends on the quantity of your order. 4. Q: How does your factory assure the quality of products9 A: Persuing high quality is one of our company's culture. If you wish to know more about our products and company, please don't hesitate to contact us at any time. 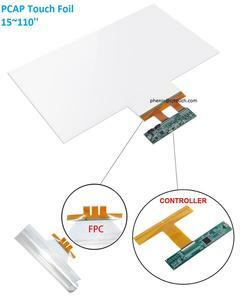 Shenzhen Hongden Display Technology Co., Ltd. 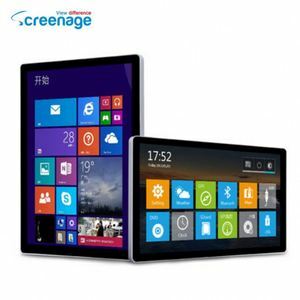 Besides these elegant touch products, we also provide our customers with education software and update freely. 1. Q: Are you a factory9 A: Yes, we are a factory, we have our own production line. 5. Q: Could you offer the OEM service9 A: Yes, we can provide the OEM service if our customer requested. 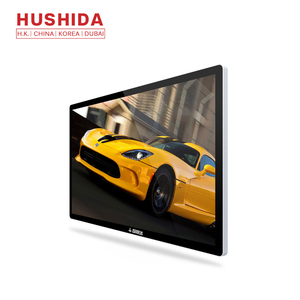 Optional:built in wifi,bluetooth,built in 1.3M camera,touch screen,DVD-RW. 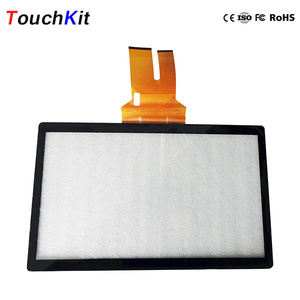 About wivi WiViTouch is specialized in producing resisitve touch screen,touch panel. To get more information,warmly welcome to contact us. 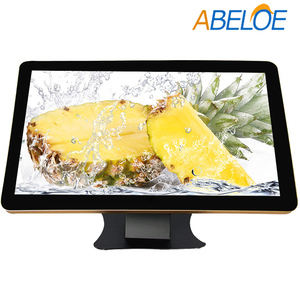 PCT 23.8 42 inch ultra wide sunlight readable frameless touch screen monitor for tv Technical details LCD Specification Display Ratio 16:9 Backlight LED MTBF 50000Hrs Active Area 527.04mm x296.46mm Viewing Angle 89&deg;/89&deg;(Left / Right),89&deg;/89&deg;(Vertical / Horizontal) Support Color 16.7M colors Optical Response Time Typ. 14ms White Luminance Typ. 1000cd/m2 Contrast Ratio Typ.